These classic Italian cocktails just wouldn't be the same without Campari, the world famous bitter apritif. 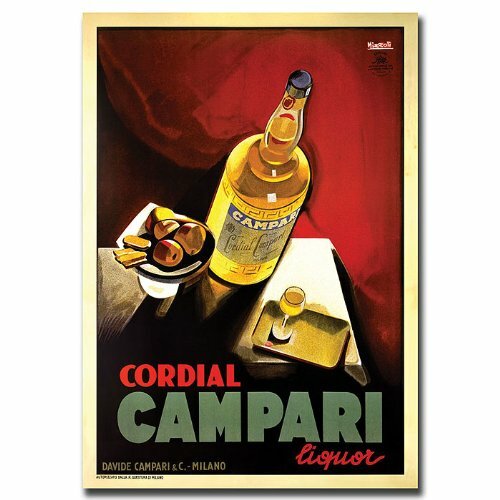 If you love Campari or know someone who does, this page is your resource for Campari posters, Campari memorabilia, Campari collectibles, recipes and more! 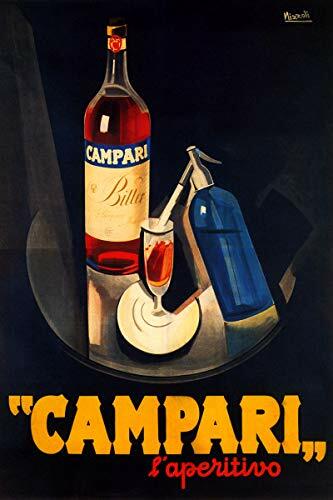 All things Campari-related are collected here, so if you're looking for something cool for your home bar or office, or perhaps a unique Christmas gift for a Campari lover, you'll be sure to find it easily and at a great price on Amazon or perhaps eBay. 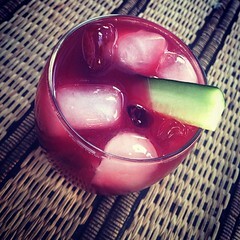 You'll also find links to recipes for cocktails, sweets and other ways to use Campari in your kitchen and bar. Campari is an Italian alcoholic apritif made from herbs and fruit, first invented in 1860 by Gaspare Campari in Novara, Italy. Its distinctive red color originally came from Carmine, a dye made from crushed Cochineal insects. The first Campari production plant was opened in 1904 near Milan, Italy. 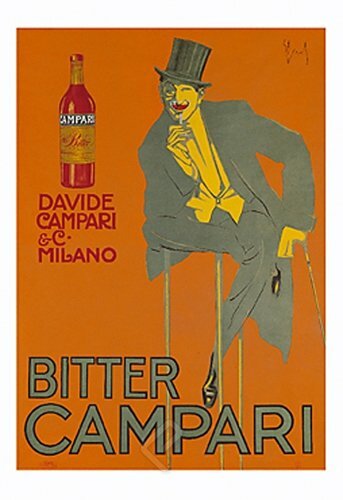 Gaspare's son Davide began to export Campari to other markets, and today it is known worldwide for its bitter flavor. Campari is one of many Italian bitters popular in Europe for their use in cocktails, where they add complexity and strong flavor—and often a lot of color, too! 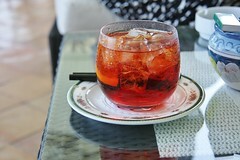 It is most similar to Aperol, which is like Campari except it's milder and with a lower alcohol content. Campari is typically enjoyed in cocktails such as a simple Campari and Soda, the classic Negroni, or the Venetian Spritz. 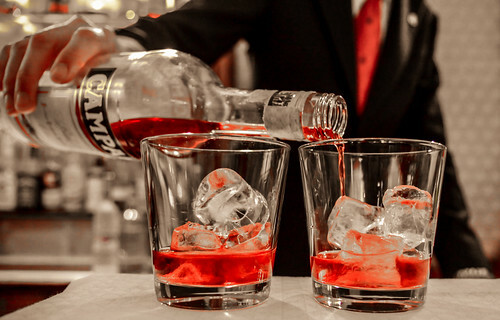 Campari switched to an artificial dye in 2005, although some afficionados swear that the flavor is no longer quite the same without the use of the "bug-based" dye. 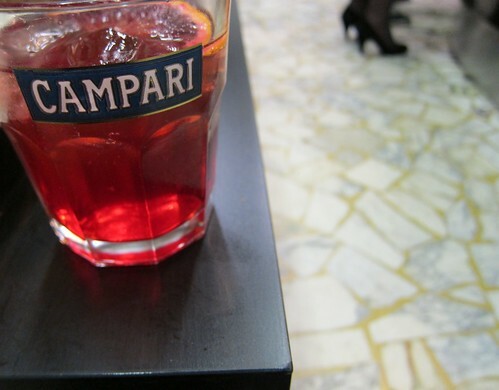 Are you a Campari fan? No - don't like it. Never tried it so can't really say! 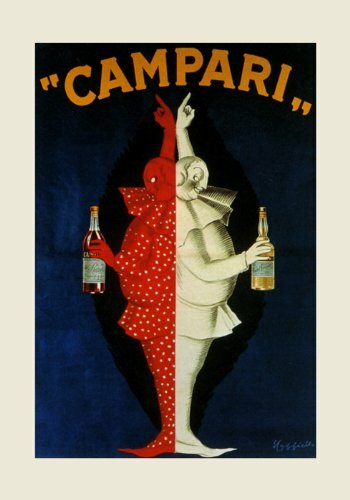 Campari's advertising artwork is well-known and popular for decorating kitchens, dining rooms, home bars and offices. Two Camparis at the Florian. Venice. Making drinks with Campari at home is easy. Here are some links to classic and unique cocktails you might wish to try for yourself. 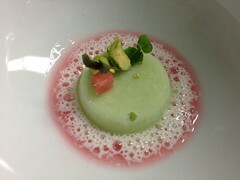 Check out interesting cocktails including the Earl of Sardinia, the Campola, and the Cherry Fluster. Try one of our huge collection of 52 Campari drinks. You're sure to find something you love! These fantastic recipes include a rosy, gin-based old-fashioned and a citrusy Mediterranean Pink Lady. However you like to enjoy Campari, these different glasses are great for serving your drinks in style. 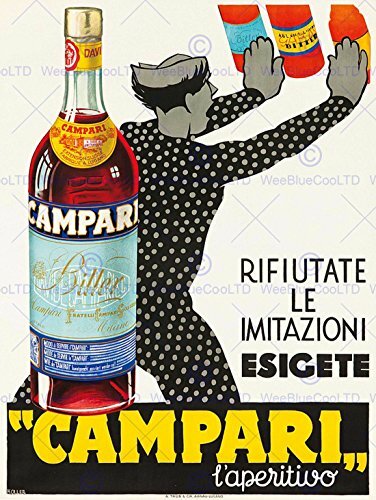 You'll find a variety of collectible items on eBay featuring the Campari name and logo. Campari can add a unique twist to your cooking and baking as well! 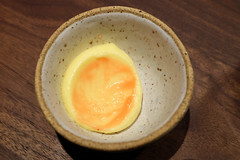 The strong color is great in sauces, icings and gels, and the bitter flavor can temper some sweet desserts and make them more complex and layered. This easy fruit dessert recipe maximizes the flavor of fresh red grapefruit with the addition of fresh ginger and a splash of Campari. Recipe for Campari-Poached Pears, a delicious dessert of pears poached with Campari liqueur and served with raspberry sauce. 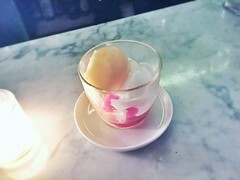 Recipe for Campari Chip Ice Cream. Bitter orange liqueur and dark chocolate chunks! 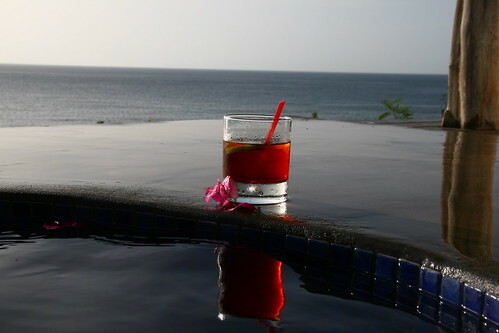 Ready to relax with a Campari cocktail yet? 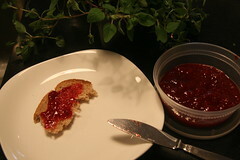 Thanks for visiting and I hope you found some cool Campari merchandise - and recipes - here to enjoy! 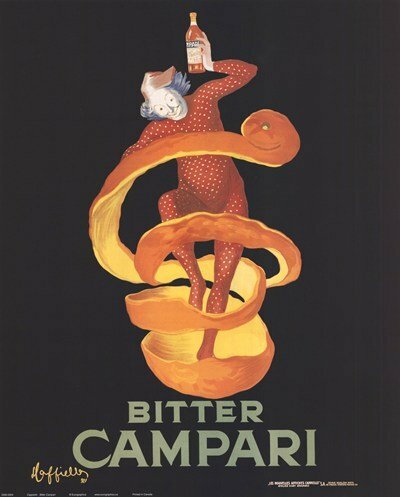 I don't believe I've ever had a drink with campari in it, but those posters sure are pretty. The part about cooking with it sounds especially appealing, too. 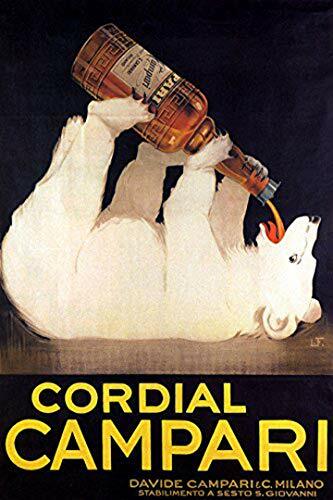 That polar bear with the bottle is great. 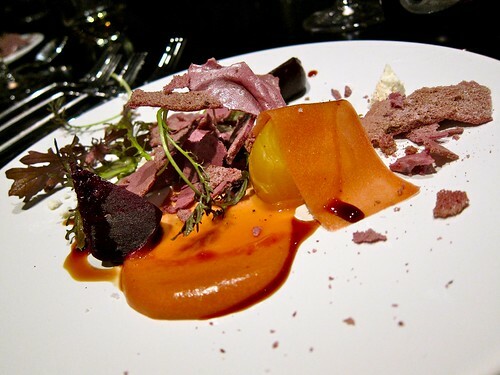 I didn't think of cooking with Campari. Interesting idea. Thanks for this. I enjoyed it.